The simple drink comes in many different varieties. 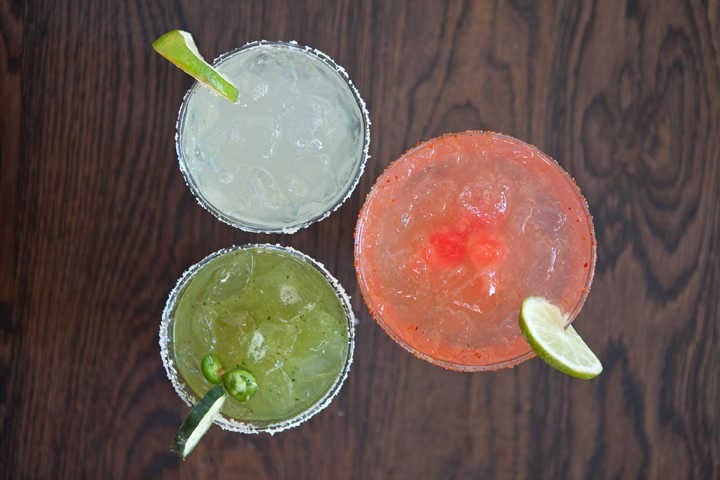 Whether you’re in the mood for a simple, classic drink on the rocks or a sweet, frozen strawberry blend, there’s nothing quite as refreshing as a margarita. In celebration of National Margarita Day, we encourage you to try our classic Old Fashioned Santa Fe Margarita, and if you’re feeling adventurous, add your own flavor creation. Rub the rim of a cocktail glass with lime juice before dipping the glass in salt. Shake the rest of the ingredients with ice. Strain into cocktail glass. If you’re looking to switch it up with a unique blend, consider incorporating flavors like prickly pear, aloe vera, blood orange or spicy jalapeno.